It’s after Christmas… is it too late for chocolate? Pffff, what am I thinking, it’s never too late for chocolate! Now that I’m starting to look back over my year of recipe posting (I will be posting a list of my most popular recipes of the year soon) I noticed a bit of a trend. You, my friends, LOVE all things chocolate. The Ultimate Vegan Chocolate Cake, Vegan Peanut Butter Cups, Vegan Oatmeal Chocolate Chip Cookies, and Vegan Chocolate Pudding Cake have all reached my top 50 most popular recipes of all time. And you know what? I’m so excited about it, because if you guys like chocolate recipes, that means I get to make more chocolate recipes. The ultimate win-win situation! 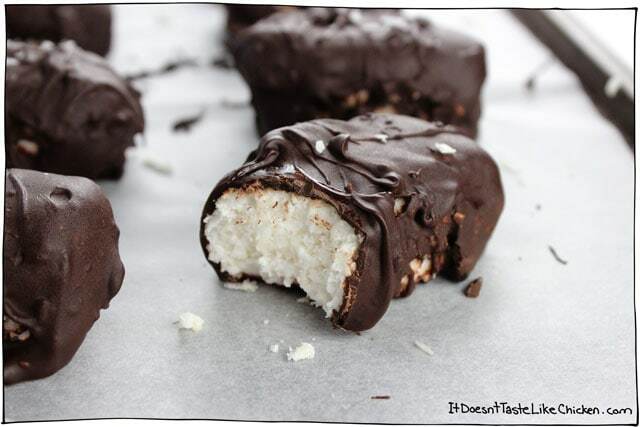 Mounds, bounty bars, snowballs, coconut scrumptiousness dipped in melty chocolate, whatever you want to call them, these are my Easy Vegan Coconut Mounds, and they are SO insanely yummy. 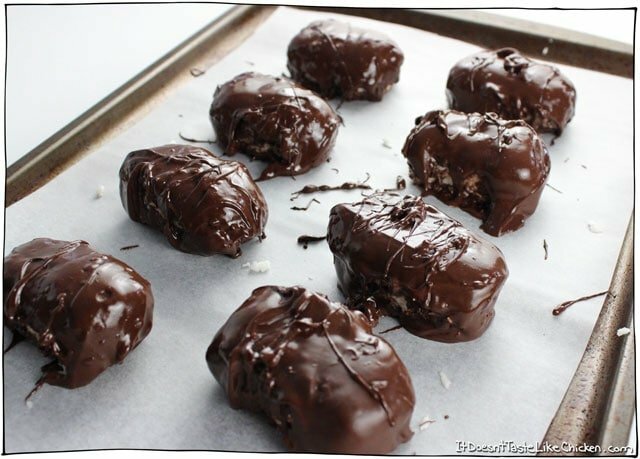 Coconut + chocolate = lightly sweet, coconutty, chocolatey, glorious bliss bites. 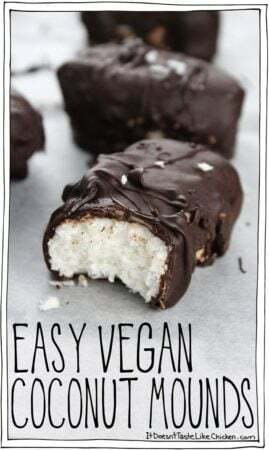 My favourite part is that even though these bars do require a few steps, they are actually super duper easy to make! 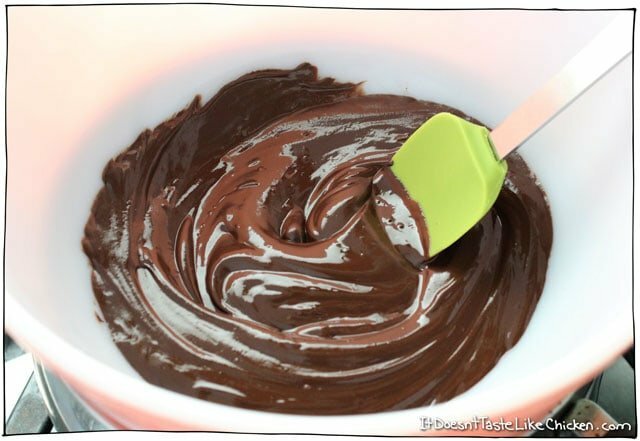 Just form the bars, dip in chocolate, and done. No baking, no hours of work, just easy peasy chocolating. They make a great gift too! (If you are willing to be that generous)… it’s a serious dilemma…maybe plan on making a double batch to be safe. 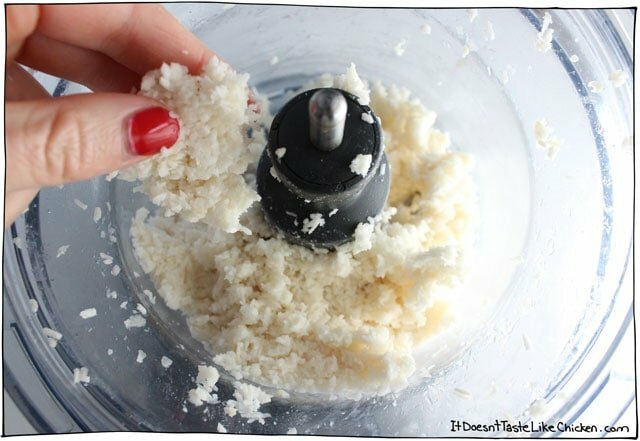 Add the shredded coconut, coconut milk, coconut oil, and agave to a food processor. Pulse several times, stopping to scrape down the sides as needed until the coconut mixture is blended but still has texture. You should be able to pinch the filling and it will hold together, but still be a bit crumbly. Try not to eat it all. (Fair warning). 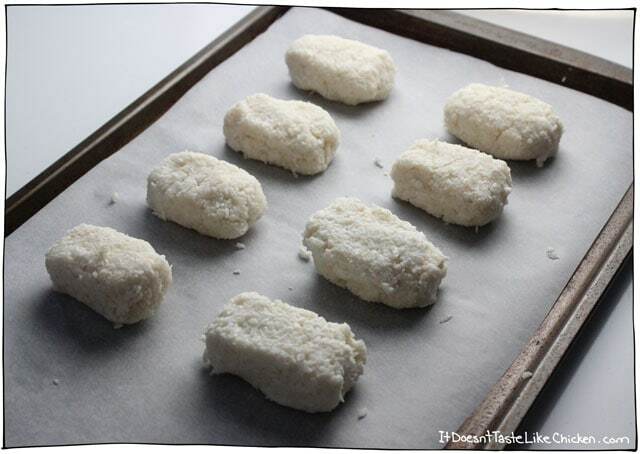 Take two tablespoons of the coconut mixture and form a bar shape, and place it on a parchment paper lined baking sheet. You should get about 8 bars. Or, for smaller coconut balls, take one tablespoon of the coconut mixture and form a ball. This should make about 16 balls. Pop the tray into the freezer to firm up for 10 minutes. While the coconut is firming up, melt the chocolate chips in a double boiler. If you don’t have a double boiler, you can just put a heat proof bowl over top of a pot with an inch or two of water in it. Presto you have made your very own double boiler! (This is the method I use). 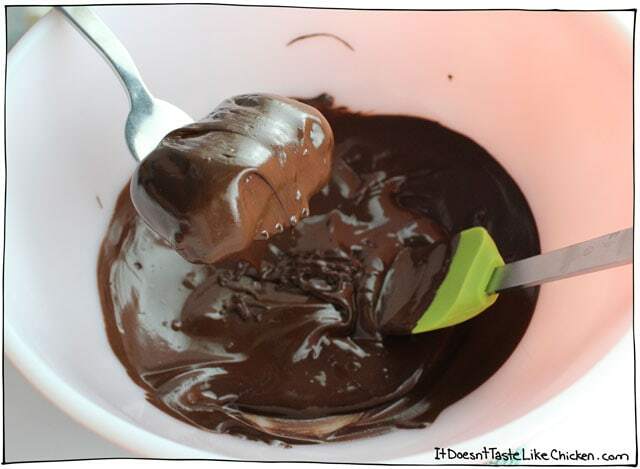 You could alternatively use a microwave to melt the chocolate being careful not to burn it. When the coconut bars or balls had become firm, drop them in the melted chocolate and use a spoon and fork to cover the bar. Shake off excess chocolate then place back on the parchment-lined baking sheet. I had a bit of extra chocolate left over so I drizzled it on top, because: fancy. 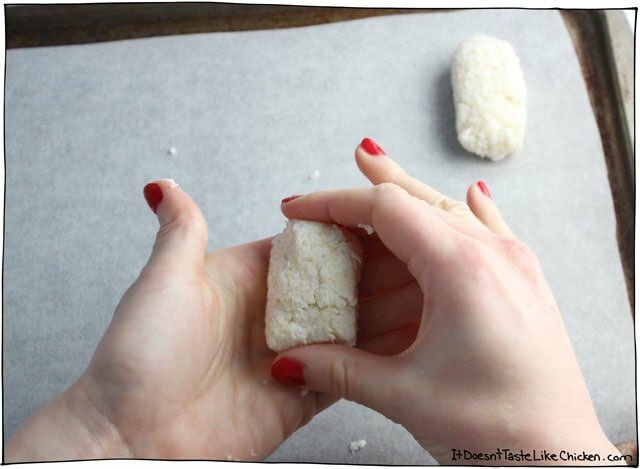 You could also sprinkle a little more coconut flakes on top. Pop in the fridge or freezer to set the chocolate. Once set, store bars in an air-tight container in the fridge for up to a week. I like my bars at room temperature best, so I take them out to warm up about 30 minutes before I want to enjoy them. So easy to make and no baking is required. Makes a great gift (if you are willing to be that generous). 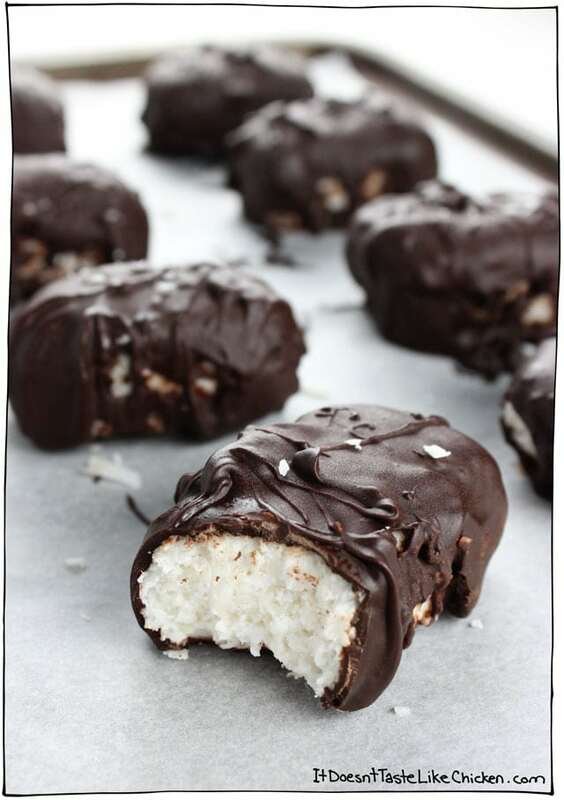 Adapted from Not Enough Cinnamon's Easy Homemade Bounty Bars aka Mounds, and For the Family's No Bake Coconut Snowballs. Add the coconut, coconut milk, coconut oil, and agave, to a food processor. Pulse several times, stopping to scrape down the sides as needed until the coconut mixture is blended but still has texture. You should be able to pinch the filling and it will hold together, but still be a bit crumbly. Take two tablespoons of the coconut mixture and form a bar shape, and place it on a parchment paper lined baking sheet, you should get about 8 bars. Or for coconut balls, take one tablespoon and form a ball, making about 16 balls. Pop the tray into the freezer to firm up for 10 minutes. While the coconut is firming up, melt the chocolate chips in a double boiler. When the coconut bars or balls have become firm, drop them into the melted chocolate one at a time and use a spoon and fork to cover the bar. Shake off excess chocolate then place back on the parchment-lined baking sheet. 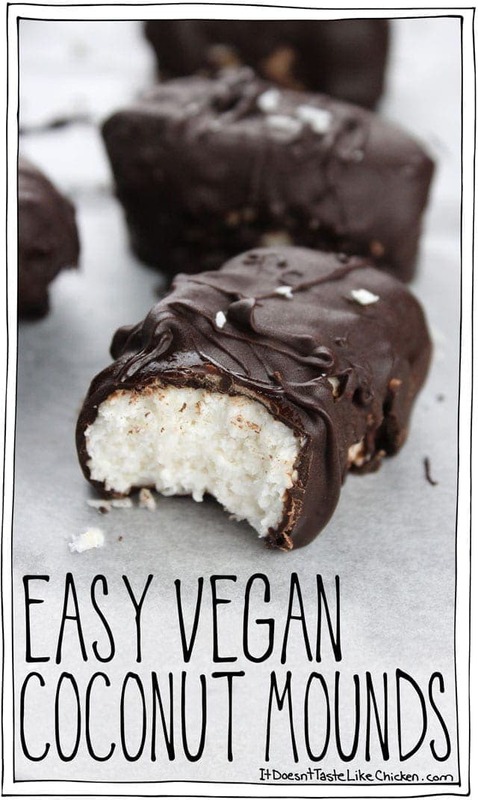 Repeat with all of the coconut bars. Pop in the fridge or freezer to set the chocolate. Once set, store bars in an air-tight container in the fridge for up to a week. I like my bars at room temperature best, so I take them out to warm up about 30 minutes before I want to enjoy them. Can i use honey or maple syrup instead of agave? The coconut mix tasted pretty nice, put some vanilla and salt in it as well. However when dipping them in the melted chocolate, the first one or two turns out good but they do come apart a little bit when they get heated up from the warm chocolate and then mixes with thw chocolate which makes it impossible to coat anymore. The coconut/chocolate mix just hardens and won’t melt again. Definitely make sure they are frozen solid before dipping, and then it should be a quick dip in the chocolate and out again. Hope that helps for next time! Oh my! I don’t know anything about vegan, but stumbled across your recipe for Roasted Chickpeas. Then I started looking at other amazing sounding recipes and landed on this coconut delight. I might not be vegan but I am ALL about anything coconut!! Surely am going to try this recipe! Thank you! Hahaha! Welcome, Mary!!! I hope you love the recipe. 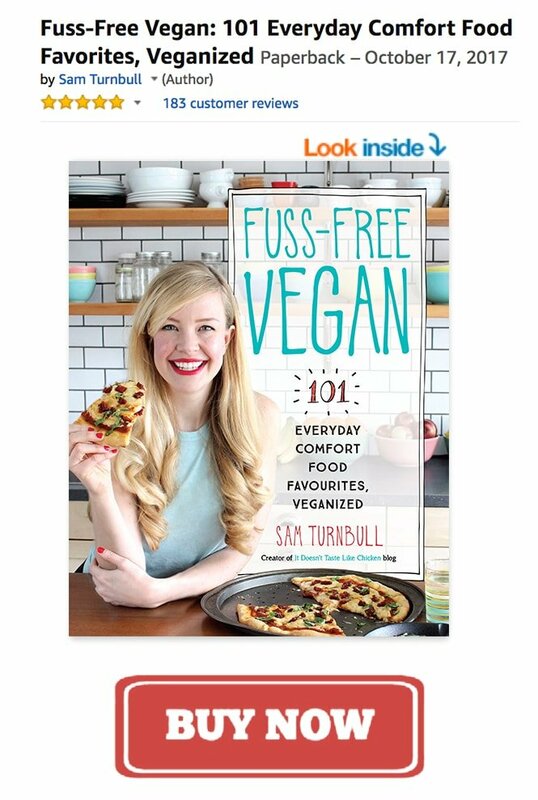 I am sure you will find with my recipes that good food, is just good food (whether it’s vegan or not). Enjoy! These are so good! I added a little vanilla and it really made them pop. Was looking for a Mounds replacement now that I’m dairy and gluten free. I feel like all my favorite treats have one or the other. Should you use sweetened or unsweetened coconut milk for this recipe? Just unsweetened full-fat coconut milk, such as this brand. Enjoy! OMG! How easy & delicious is this recipe!! I must admit, I am normally not a big ‘grated’ coconut recipe fan type. Nonetheless, I felt inspired to try THIS recipe and it blew me away with its delectable mix! Yummmmie! Will these melt if left unrefrigerated for a few hours? They won’t melt, they will just be soft. Enjoy! Can I use maple syrup instead of the agave? Made those today. They are even better than the real thing! Such a simple recipe and so tasty! I made 20 mini bounty bars of this recipe. Thanx, gonna make those more often! I will be making these soon! And some will have to contain an almond..just because, well, just because! I was trying to eat all the chocolate in preparation for a New Year’s resolution. I guess that was foolish. These have to be made. I felt the same way Bethery. Haha! Thanks, your blog is fantastic!!! Thank you so much, Lola! Coconut oil has the magical power of being solid at room temperature, which is key in this recipe to firm up the bars and hold them together. So I’m afraid it can’t be substituted in this recipe. You can buy coconut oil online for much cheaper than many grocery stores. Hope that helps! I think any time is a good time for chocolate! These look great but unfortunately I don’t have food processor. Do you think I could make them without one? or would the mixture not get sticky enough to hold together? In my first attempt at this recipe, I didn’t use a food processor. Unfortunately, they didn’t get sticky enough to hold together. Do you have a blender or animmersion blender? That could work! thanks for already testing out that option for me. Unfortunately, I do not have a blender so you will just need to enjoy an mounds bar or two for me. Where do you find the vegan chocolate chips? Most health food stores like whole foods. Enjoy life is a good brand. You can also order them online. A lot of brands of chocolate chips are accidently vegan (just check the ingredients for milk), but if you can’t find those you can always order Enjoy Life brand chocolate chips. Love how simple these are! Proof that if it ain’t broke, don’t try to fix it! YUM! I was thinking after Christmas is a great time for chocolate. Things are winding down and a nice chocolate goodie and some tea….nice way to relax!! !